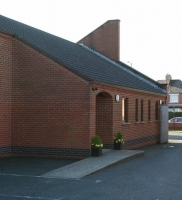 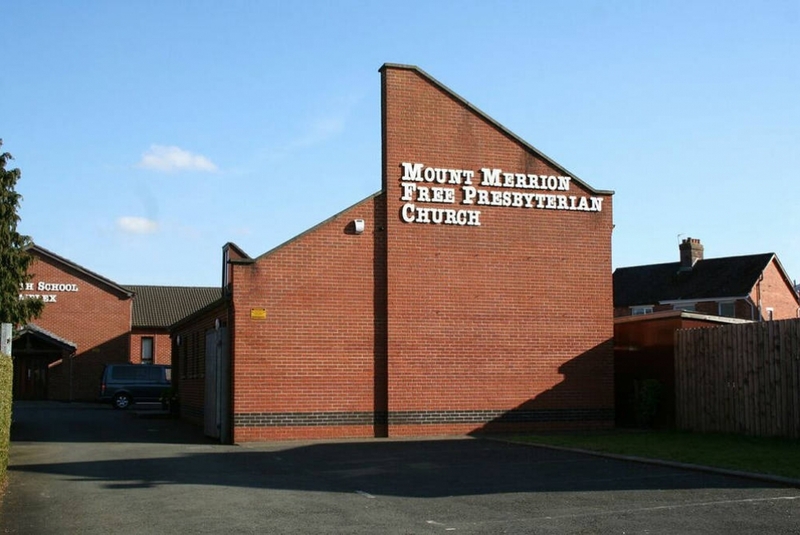 This Church Complex is located on Mt Merrion Avenue in Belfast squeezed between terraces of Private Dwellings. 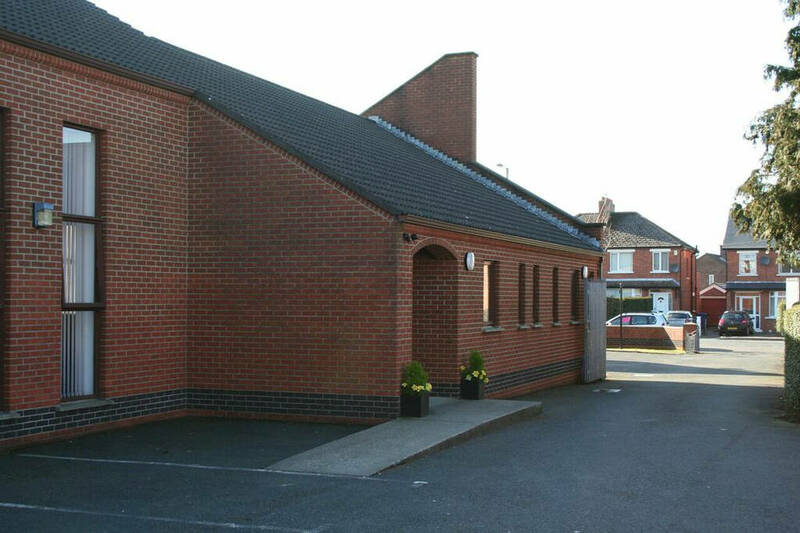 The site expands in the hinterland behind the gardens of these adjacent dwellings to accommodate car parking and a later added Hall and School Complex. 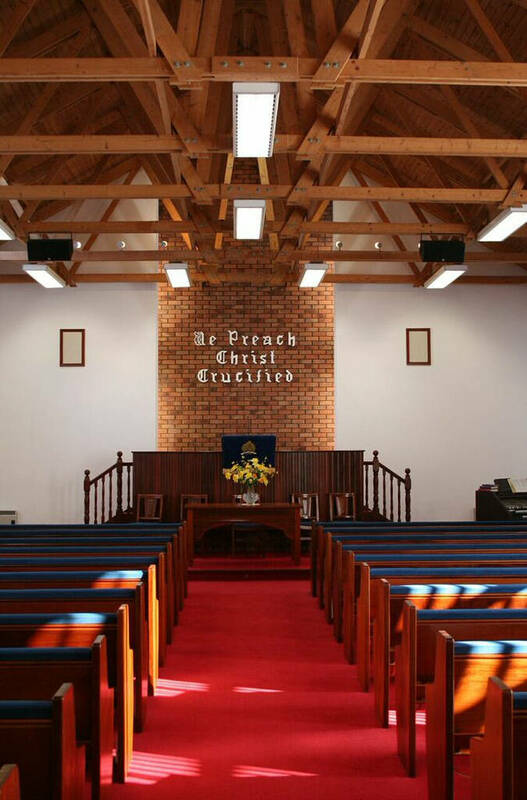 The Main Church auditorium accommodates 200 seats with a further 90 accommodated in a Minor Hall. 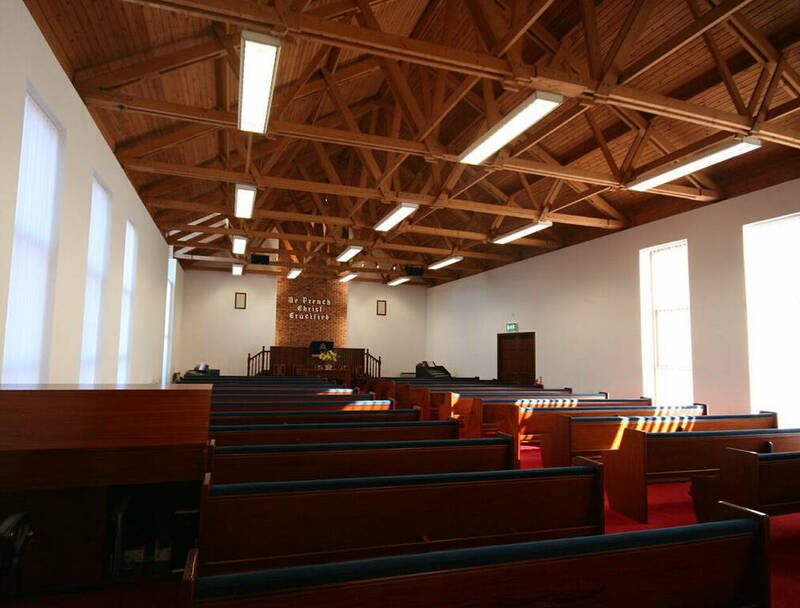 The Church was designed to suit the specific site constraints and in order to give identity and street presence the building was drawn forward into the narrow strip between the terrace along Mt Merrion Avenue. 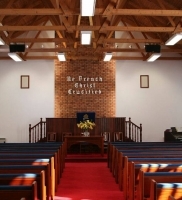 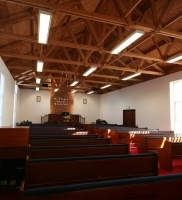 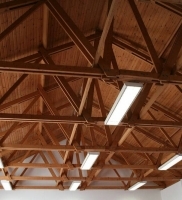 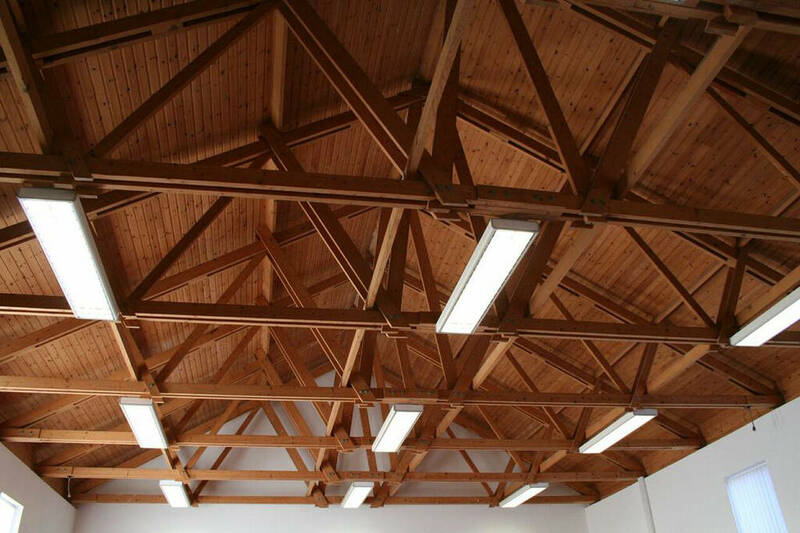 The old original Church Hall was retained for use while the new building was constructed and then on completion it was demolished.